With the important away goal CSKA Moskou will welcome Sporting Portugal in the Arena Chimki. Sporting Portugal managed to beat CSKA with a minimum 2-1 difference. CSKA showed in the first leg that it's a team which is hard to break. We expect CSKA to play it very safe, mark a goal and switch to a 'Park the Bus' strategy. Valencia is still in pre season while the Ligue 1 is already 2 rounds on it's way. Valencia managed to do 2 big signings: Alvaro Negredo and Rodrigo Moreno. At home in Estadio Mestalla Valencia should be able to get a good result. For Monaco the game against Valencia will be one to control the damage and hope for a good result in the return. Club Brugge will be visiting Old Trafford for the first time in a official match. The #2 of the Belgian League of last season will have no chance against Manchester United. Louis van Gaal and his players will simply walk over Club Brugge. For Manchester United it's important to keep the clean sheet and build up a goal difference before visiting Club Brugge in Belgium. The ultimate clash between Italian title and cup winner and the Spanish title and cup winner. Barcelona in it's current form with strikers Neymar, Suarez and Messi is just simply unstoppable. After the first leg AS Monaco will have to play more offensive in order to reach the semi finals. Juventus will have to play safe since they only have a 1 goal advantage. 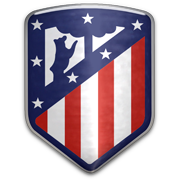 Diego Simeone's Atletico slightly disappointed in the last week Madrid derby against Real Madrid. Without a goal difference Real Madrid should be able to qualify for the semi finals. FC Porto's superb performance in Estádio do Dragão surprised friend and foe. FC Bayern will have to go all out in order to reach the next round of the Champions League.